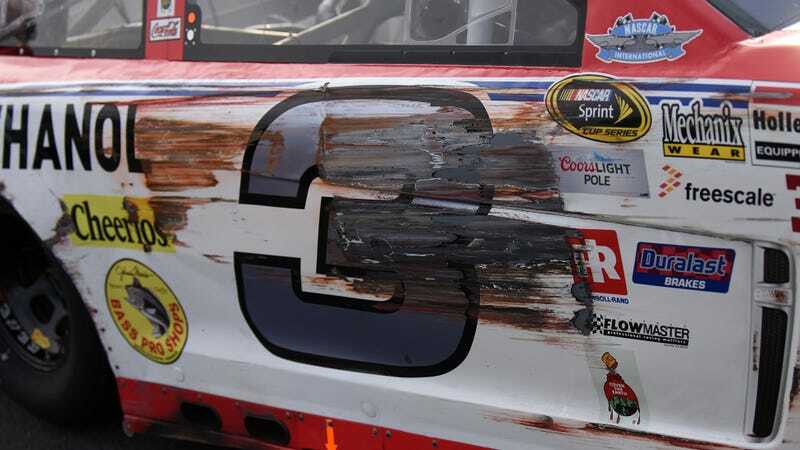 Darlington Carlington Raceway is so known for being hard on cars that it even has a specific name for one of its more common forms of damage: the “Darlington Stripe.” Here’s a supercut of NASCAR race cars earning their stripes this weekend. You’re welcome. When a car just taps the wall enough to get ugly, but not to really cause any major damage, it looks striped if anything — hence the name. Don’t worry — the wall gets its fair share of damage, too.